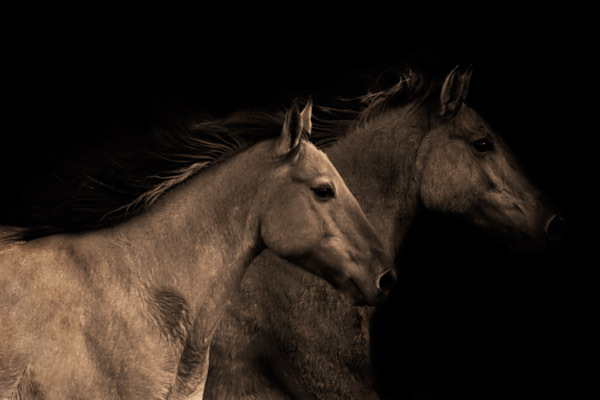 Robert Dawson is a master at capturing the spirit of one of his favorite subjects, the horse. With dramatic lighting, these two youngsters seem to come out of the shadows. Perhaps they are waiting for their mothers before taking off on an adventure.